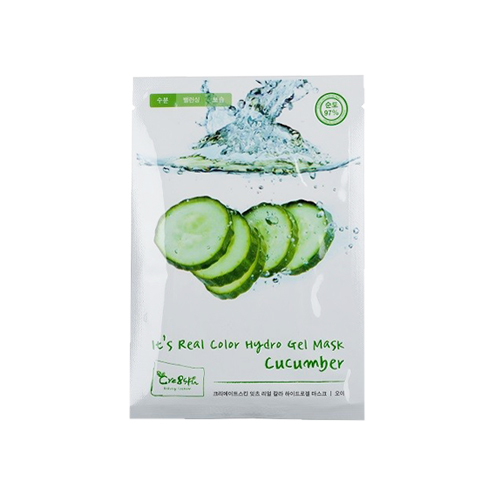 Hydro-gel mask which contains fresh cucumber extract, the moisture ingredient of which reaches up to 95%, and supplies rich water to dry skin for moisturized skin. Patented extracts from 7 natural plants (green tea, centella, chamomile, gold, asiatic knotweed, licorice and rosemary), hyaluronic acid and collagen ingredients supplies intensive moisture and nutrient for extremely dry skin which is felt tight. Jelly-typed gel containing moisture the surface of which is treated by embossing finish is very close to the skin and effectively supplies active ingredients. In addition, it is a kind of new-concept gel mask which ensures fine holes contain sufficient cosmetic ingredients and water. 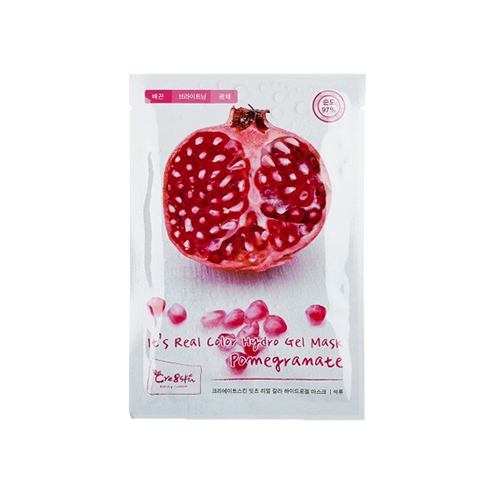 Patent embo hydro gel mask, bumpy sheet giving extra strength to hold to face without dripping excess essence, beauty ingredients provides rich hydration onto skin, provides non-drying intensive hydration and nutrition. Gives bright and clear skin to prevent blemishes, provides silky skin with vitality. Wipe your face with toner suitable to your skin after cleansing. Remove protective film from beauty mask divided into top and bottom and stick it to the face. Remove the mask sheet slowly after 20~30 mins. Tap your skin the essence remained in the skin to make it absorbed in your skin finish with emulsion or cream depending the condition of your skin.